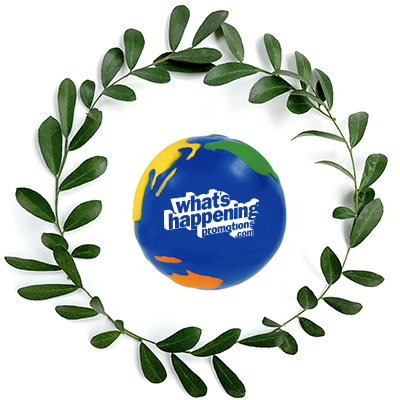 Turn your company into a lean green promotional machine this Earth Day with the help of What’s Happening Promotions. 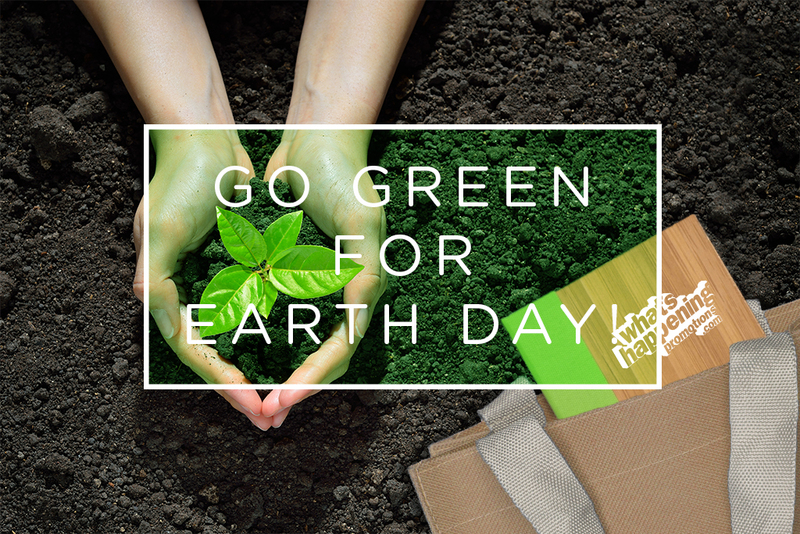 Get a handle on the competition this Earth Day when you give out the Washable Kraft Paper Tote Bag with Web Handle. 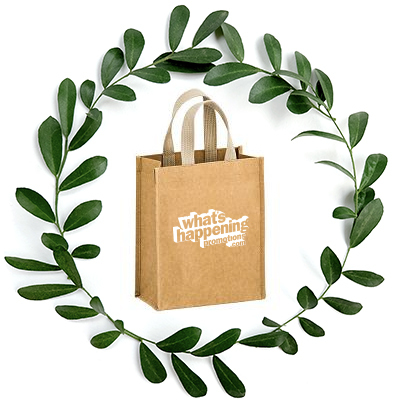 This organic tote with a completely customizable front is the perfect way to showcase your brand’s green initiative. 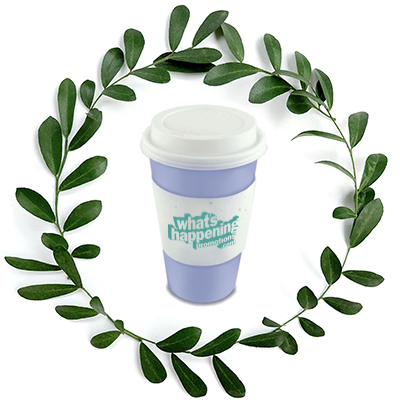 Help your business bloom with the Single-Sided Seed Paper Coffee Cup Sleeve. 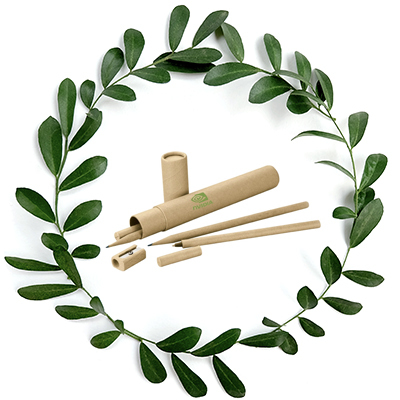 The use of seed paper material means the product can be reused to help the environment. Plus, the option to have full color artwork means your company’s logo can pop. Take the stress out of saving the environment and give your brand’s support system the Multi-Color Globall Stress Reliever. This pocket sized stress reliever is ideal for those on the go and it has the added benefit of boosting your brand’s recognition. Your clients will be sure to “pencil your company in” when you give them an Ambrose Pen & Pencil Set. 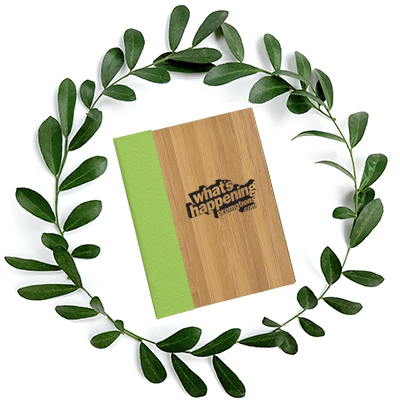 Made from Bamboo, this gift set is a budget friendly way to market your company’s Earth Day celebration. The included pencil sharpener will showcase your brands reliability to future clients. Save energy and light up your brand’s name with the 4oz. Candle in a Round Tin. This non toxic soy wax candle is the biodegradable merchandise your brand didn’t know it needed. 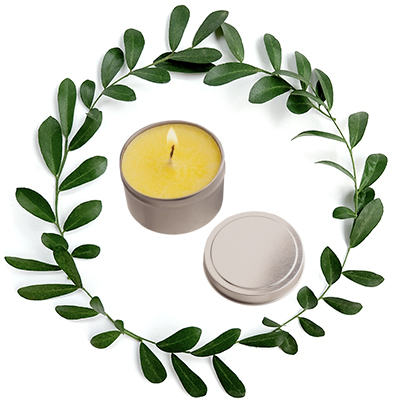 With over 9 different color and scent combinations, this versatile candle is an Earth Day masterpiece. Want a promotional gift that will stick? Try the Essence Bamboo Desk Buddy. With 2 Sticky Notes and 5 Sticky Flags this item is an excellent way to bring your company’s Earth Day goals into the office environment. Contrary to popular belief, it IS easy being green when your business uses What’s Happening Promotions.